Optinov designed its first product, a diesel anti-theft device for heavy-duty trucks. Thanks to its unique design, this OMPIC-patented product allows truck fleet owners and managers to reduce fuel consumption by physically preventing theft from tanks. The company has since extended its range to medium and small tonnage trucks, now covering all available tonnages and brands as well as public works machinery. 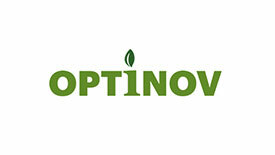 Resolutely focused on innovation, Optinov is currently continuing its development effort, first to complete its range of anti-theft products for coaches and buses and then to design other products related to energy efficiency.